Cleaning up our local rivers and streams isn't just good for public health. It's great for wildlife, too! Patagonia's new display featuring Potomac Conservancy's conservation efforts located at the REI DC flagship store. We're thrilled that Patagonia is helping us shed light on the harmful litter impacting our local critters. 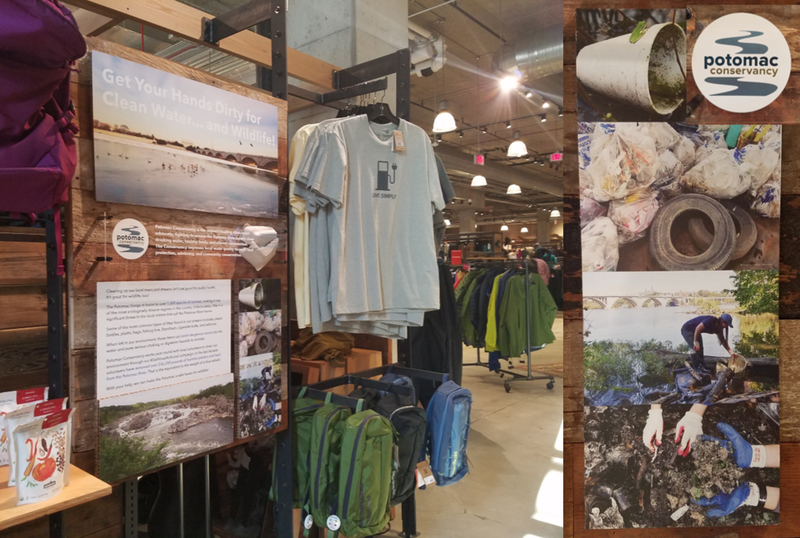 If you're near the REI flagship store, located in the heart of NOMA, stop by and check out the new Potomac Conservancy display in the Patagonia section! In the meantime, you can help be a part of the solution. Why: Fishing line can get tangled in legs and wings and when eaten, can cause lethal obstructions. Lead weights look like food to many birds and can cause lead poisoning. Why: Food remnants found on Styrofoam takeout containers encourage animals to eat the container too, which can lead to choking and digestive problems. Styrofoam is quick to break down and tiny pieces are eaten by fish. Why: Cigarette butts are toxic for animals when eaten, are not biodegradable, and can leach toxic chemicals in the river when soaked. Why: Gum is more than a nuisance that gets stuck to our shoes. it can get stuck in the fur and feathers and inhibit an animal's movement. And unlike food, it doesn't provide animals with sustenance. Why: Aside from being a dangerous choking and digestion hazard, once consumed, plastic chemicals can cause excess hormones. In fact, over 80 percent of male smallmouth bass fish in the Potomac are intersex (have female egg cells). Volunteer at Our Next Cleanup! 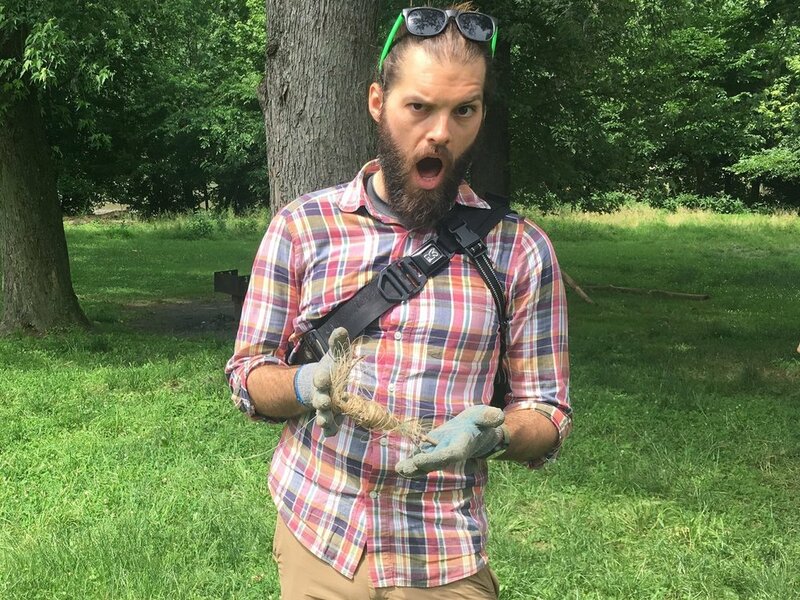 Potomac Conservancy works year-round with local volunteers to clean our environment through our #GetVocalActLocal campaign. In the last decade, volunteers have removed over 279,400 pounds of harmful plastics and trash from the Potomac River. That is equivalent to the weight of a blue whale! Bring a friend and come get your hands dirty at our next cleanup! Sign up to volunteer at www.potomac.org/events.